Donner Pass Road through downtown Truckee will be closed all day for the Ironman Triathlon on September 22, 2013. During this time, triathletes will be riding through Truckee two times on their way to completing the 112 mile bike portion of the event. 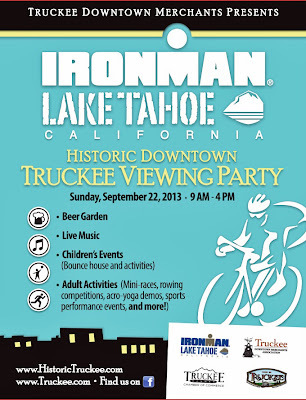 The Truckee Downtown Merchants have turned the street closure into a "Truckee Viewing Party". The "party" includes live music, beer garden, bounce house for the kids, and "mini-races" for the adults. 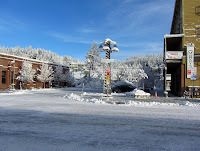 The corner of Donner Pass Road and Bridge Street will make an excellent bike viewing area. The riders should be quite spread out due to their varying swim times and ability on the bike. Drafting (closely following a rider to reduce wind resistance) is not allowed in the sport of triathlon. The athletes will begin their race with a 2.4 mile swim from Kings Beach, starting at 6:30am. The bike ride brings them through Truckee at mile 23 on the first loop, and mile 71 on the final lap. 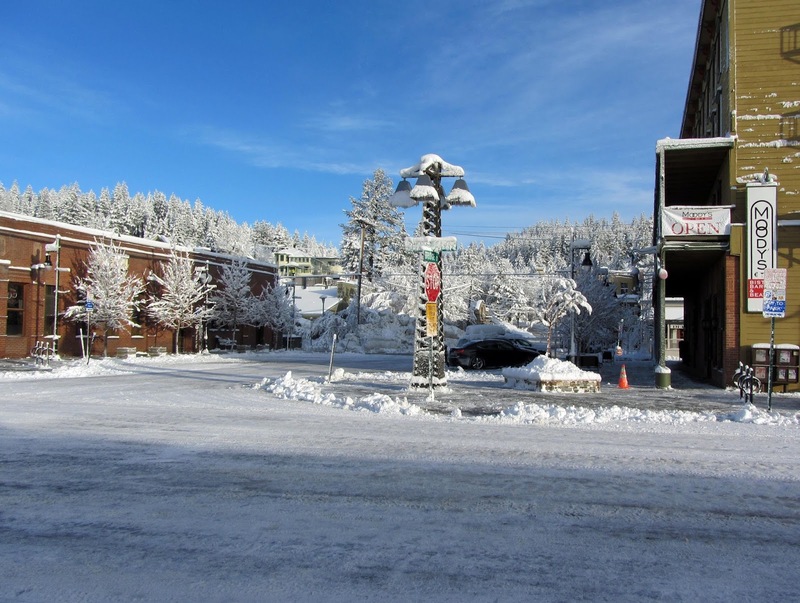 They will end their ride at Squaw Valley and run a full marathon on the bike trail, before finishing in Squaw Valley between the hours of 2:00pm and midnight. Traffic restrictions will be in effect on Highways 267 and 89.